Solve all your air duct cleaning questions and keep it in mint condition with these FAQs. Which parts of the air duct system have to be cleaned? Air Duct Cleaning Playa del Rey experts have identified 3 parts of the air duct that have to be cleaned. These are the supply and return grills, the interior surface of these grills, and the air handler of the furnace or air conditioner. What are the different methods used in air duct cleaning? 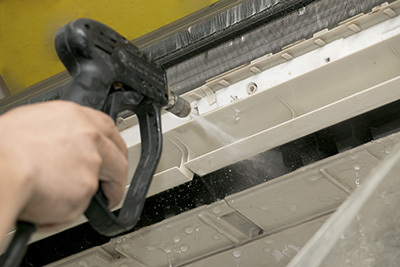 The most common method used for cleaning air ducts includes vacuuming, rotary brushing and air sweeping. These methods can easily be done by a homeowner, and can in fact help with minor duct maintenance. How can I save energy? The HVAC system must work properly but unsealed air ducts won't help. Air duct repair is required to ensure that air is not lost in the way but you must also clean the unit and make sure HVAC maintenance is done twice every year. This way, the system will work at its best and energy won't be lost. These filters are made from cotton or paper fibers which are electrostatically charged. This enables them to trap even very small particles and microorganisms. They typically have efficiency rating (MERV) of 10. The standard-sized disposable models are quite affordable. They can contribute a great deal to the indoor air quality in homes with pets, smokers and kids. How do I protect the outdoor HVAC unit from debris? Start by leaving clearance of at least two feet around all four sides of the unit. You should also avoid planting tall trees close to it. Remember that the clearance above the unit would ideally be ten feet. Collect any fallen leaves and other debris around the unit timely. When mowing your lawn, ensure that the chute never points in the same direction as the unit.